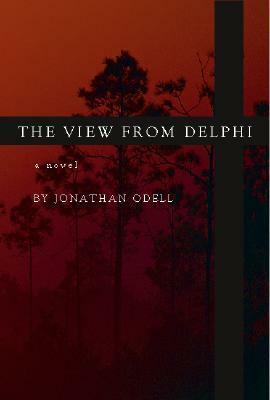 Set in pre-Civil Rights Mississippi, The View from Delphi is the story of Hazel and Vida, women on opposite ends of the spectrum. While one comes from a place of privilege and soon finds herself on the opposite end; the other comes from very humble beginnings, only to find herself surrounded by the material things she always dreamed of. Unfortunately, she didn't dream beyond acquiring those possessions. Vida Snow is the daughter of a preacher. Her father is not just a preacher, he's the Fix It man for the sharecroppers in the area. Raised with the Senator, Levi Snow has the ear of the biggest landowner in Delphi. In return for Levi apprising the Senator of any grumblings among the workers, the Senator allows Levi the privilege of preaching, something Levi feels he was called to do. As a preacher's daughter, Vida Snow has never worked a day in the fields. Her job is to go to school and wear the pretty dresses her father keeps her in. Hazel is poorer than dirt. Worse than that, she's homely. With her limp hair and plain features, she cries when she finally gets to see a picture of herself. As a teen, she decided to do something about her looks and by the time she was fifteen, she'd completely transformed herself into a movie star-like creature, the likes of which folks in her part of Appalachia had never seen. When she meets Floyd Graham and his big ideas, she's ready to ditch the farm and her family and get on with living. By the time they meet, life has been unkind to Hazel and Vida. Vida's father's fall from grace propels her into the fields. Her longing to right the wrongs that have been done to her propels her into a white woman's kitchen. Hazel is a woman without a plan. Her immediate plan was to marry Floyd, but she didn't think far beyond that. Being a mother overwhelms her. The simplest tasks leave her flustered. Her most recent episodes leave Floyd with no other choice than to bring in outside help to watch over her during the day to make sure she doesn't do anything foolish again. Hazel and Vida's friendship is unlikely, and I begrudgingly call it a friendship. I would be more apt to call it mutual respect. Hazel draws strength from being around Vida and her group of fellow maids. In return, Hazel assists the group with copying and distributing voting rights materials. But are they the kind of friends that share secrets? I wouldn't go that far. Had I read this before the acclaimed The Healing, I don't know that I would have been inspired to read about Polly Shine. The View from Delphi is about 100 pages longer than it needs to be. It's obvious that by the time Odell got around to writing The Healing, he'd learned to trim the fat in his writing. Still, it was a noble effort for a first novel.